I had the misfortune of doing serious damage to the right rear wheel on my Porsche 928 during spirited driving. See that story here. During this event I was forced to remove the space saver spare tire from it’s long term home and inflate it on the road side with the small pump that I carry for that purpose. I remember at the time being pretty amazed at how it unfolded, like a butterfly from its cocoon. That said, at the time I was in no mood for video. I was just hoping the 30 year old spare wouldn’t just explode into pieces. Fortunately, it didn’t, and I was able to limp home. Now much time has passed and the car has been laid up for a major interior refurbishment. I needed to restore the spare to its minimal dimensions. Easier said than done. I wound up using my A/C system vacuum pump to pull the tire down to its collapsed dimensions. It was not willing and by no means is as compact as it originally was. 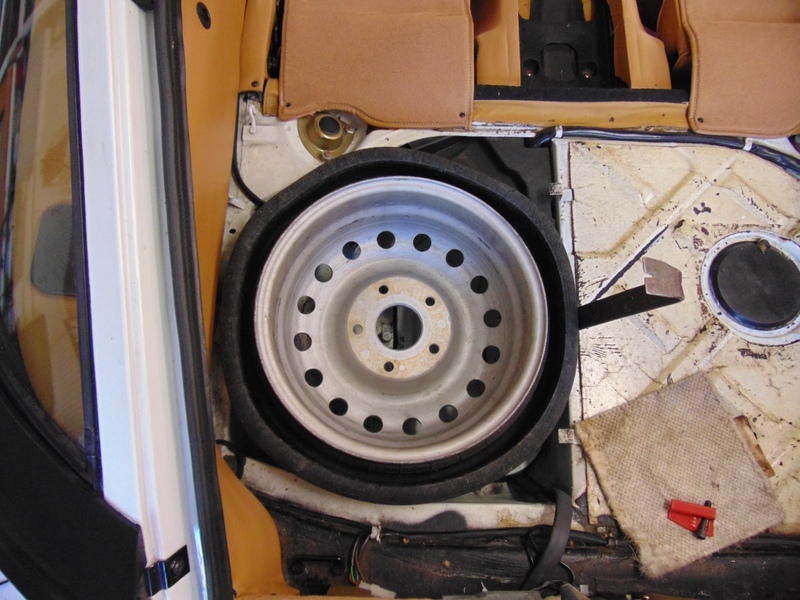 Fortunately its resting place in the back of the 928 only requires a minimum diameter in one place. I was able to press the tire into position. Thank goodness! Here is the tire in position. 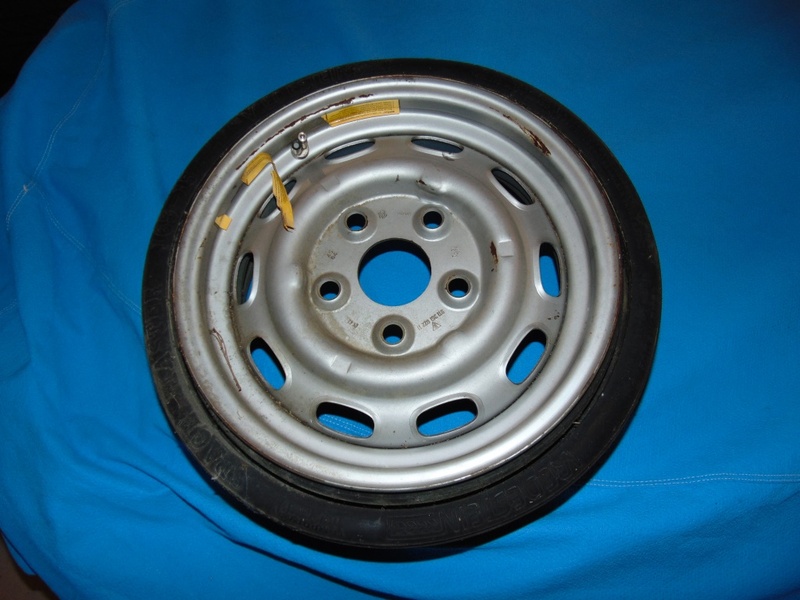 Here is a picture of the never inflated spare from one of my 944s. BTW, after the above process I put ratchet straps around the tire to help make it smaller but they really didn’t have any positive effect.